Rooms 3, 6 & 10 have Queen Beds, private en-suite bathrooms, hair dryers, irons and ironing boards, coffee makers and flat-screen TVs. Wireless internet is available and complimentary and all of our rooms are air-conditioned. A delicious hot breakfast is included and is served from 8:00 to 9:30 AM. 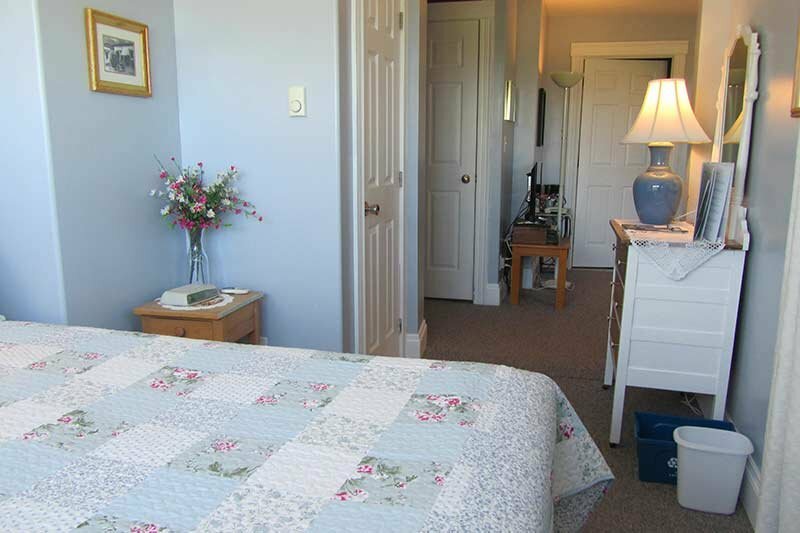 This room has a queen bed as well as comfortable sitting area to relax and enjoy the view of the water, the Annapolis Basin. This is our barrier free room (wheelchair accessible). All of our rooms have private ensuite baths. 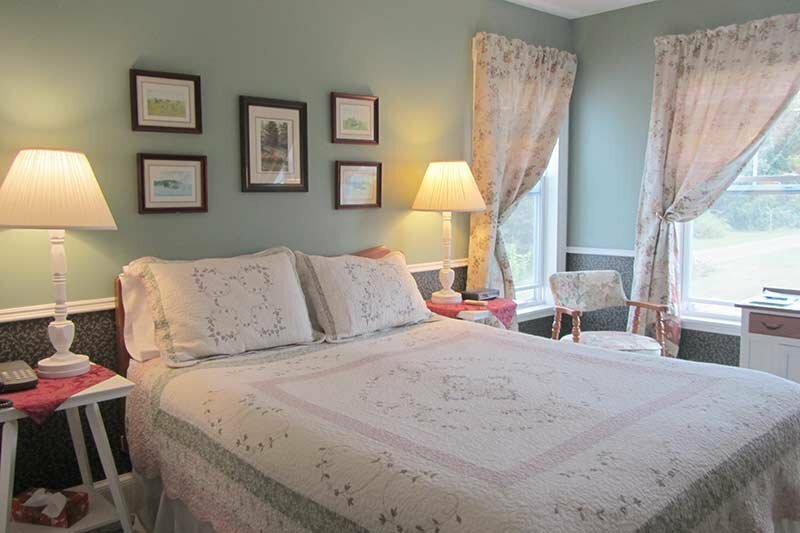 This room has a queen bed and a comfortable sitting area to enjoy the view of our gardens. This room is located on the second floor of the Inn. All of our rooms have private ensuite baths. 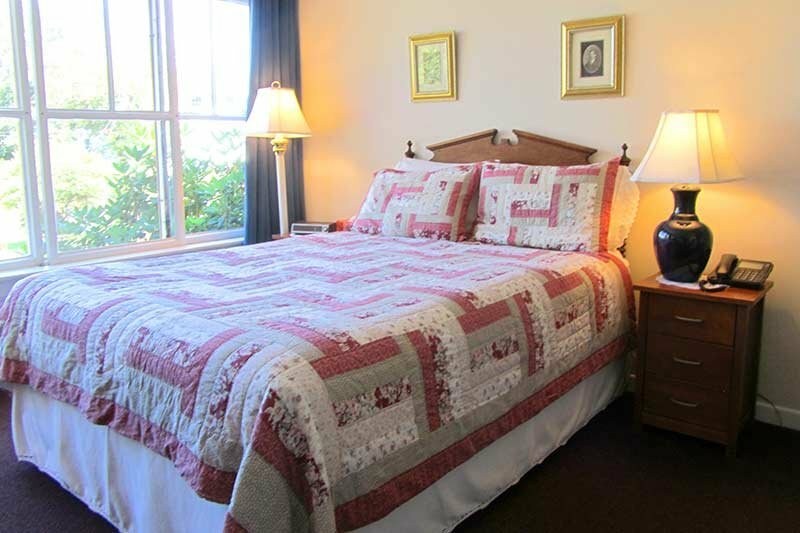 This room has a queen bed and a comfortable sitting area to enjoy the view of our gardens. This room is located on the second floor of the Inn. All of our rooms have private ensuite baths. This is a small suite with a living room, bedroom with a queen bed and a private ensuite four-piece bathroom. This suite has a view of the Annaplolis Basin.